Using the earth to harness energy is no new business, but we’ve come a long way from the windmill or water wheel. 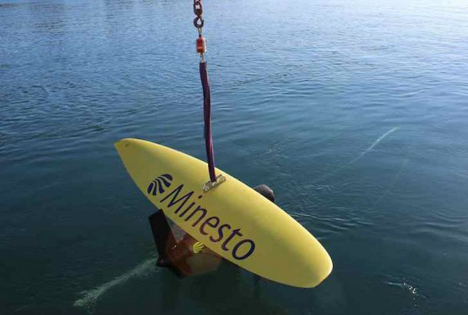 Aquatic energy company Minestro has revealed an interesting new system to create green energy using the ocean’s currents. 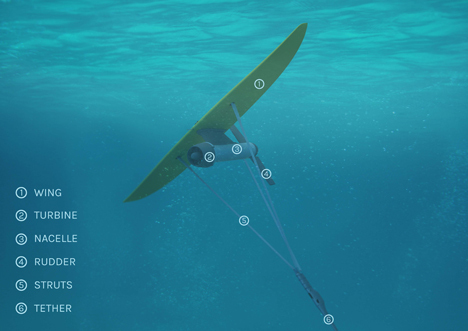 Dubbed “Deep Green,” the project features a squad of giant propeller-like objects that “[convert] energy from tidal stream flows into electricity,” according to the company’s website. 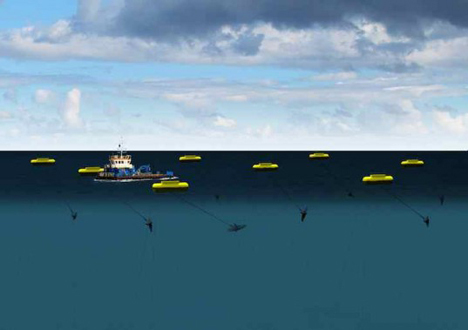 The devices are wings with turbines connected and are anchored to the sea floor. As the aquatic current flows by them, energy is created by “novel principle” – the same concept behind classic inventions like the windmill. Initial trials of the system were performed off the coast of Northern Ireland. Minestro plans to have a bigger version of Deep Green going in the UK by 2015, in hopes that it becomes a fully-viable source of green energy. See more in Energy & Power or under Science. December, 2013.